Gibson reteams with lifestyle blogger Cassie Freeman for a resort collection focused on comfortably chic pieces like this racerback maxi cut with flowing drape. A high waist keeps the fit flattering for most, and on-seam pockets allow you to bring the essentials for an evening of fine dining or spontaneous seashell collecting. Style Name:Gibson X Hi Sugarplum! 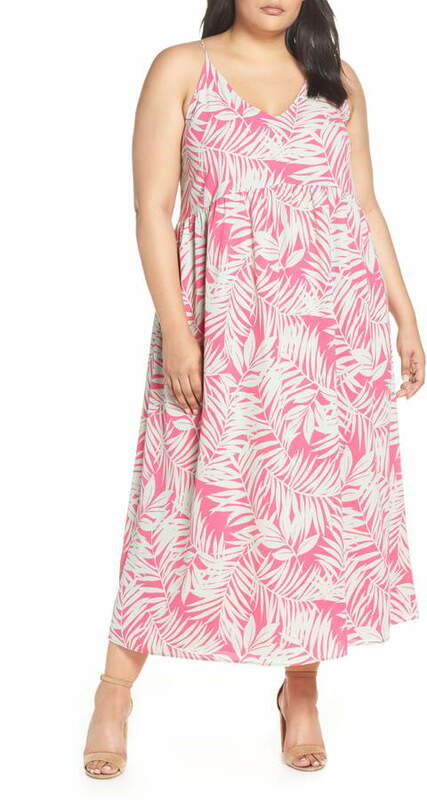 Palm Springs Festival Maxi Dress (Plus Size) (Nordstrom Exclusive). Style Number: 5766823. Available in stores.